Peeled Juice Bar is scheduled to open in the Henry Crown Sports Pavilion later this month. The juice bar, known for its raw vegan products, currently has locations in downtown Evanston and Lincoln Park. Peeled Juice Bar is scheduled to fill the empty cafe facility in the Henry Crown Sports Pavilion lobby and is tentatively set to open April 15. “For years people had been asking for a grab-and-go convenience place close to the recreation facility,” said Dan Bulfin, Northwestern’s director of recreation. Peeled currently has two locations, one in downtown Evanston and one in Lincoln Park. The company promotes a raw vegan diet, eschewing both cooking and animal products. The new location will include some menu items not available at other Peeled locations, including a selection of single-origin coffees, said Keith Pegues, Peeled founder and president. When NU began its expansion of the Crown Sports Pavilion in February 2013, a juice bar was part of the plan for the new lobby and a small facility with sinks and refrigeration cases was built for it. However, the location of the intended juice bar has remained empty. Bulfin said the University first offered the opportunity to run the juice bar to Sodexo, with whom Northwestern contracts for other dining services, but Sodexo was not interested in the offer. But bringing in a third party to run the juice bar presented liability issues for the University, introducing the need to encrypt credit card data and send that information on non-University Wi-Fi made it difficult to find a company to run the juice bar, he said. He said students will not be able to use their meal plans at Peeled because it is not a Sodexo operation. Weinberg sophomore Michael Ryzhov has been waiting for the juice bar opening since before his freshman year. “When I toured campus the summer before senior year of high school, I remember a brief mention that there was some sort of juice bar opening soon,” Ryzhov said. 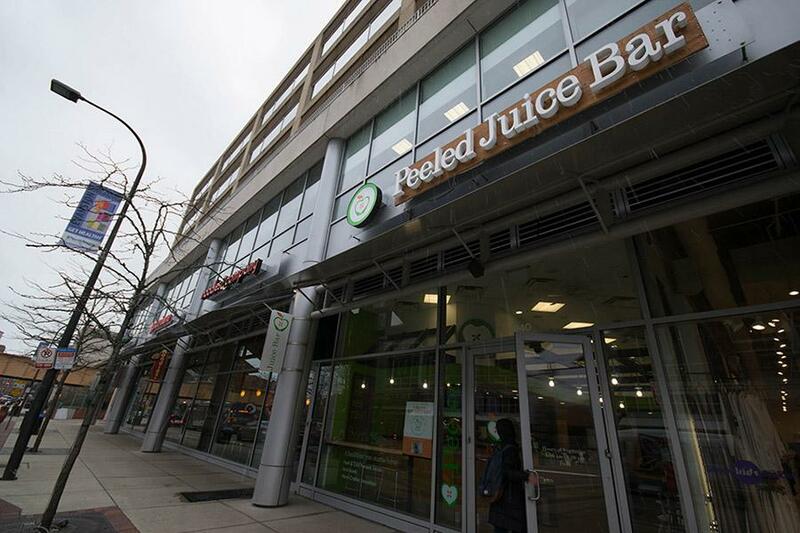 Ryzhov said the long-anticipated juice bar had become a running joke for the club track and field team and there was skepticism among team members when they saw the announcement on April 1. Some teammates suggested the announcement was an April Fools’ Day prank. In addition to advertising the health benefits of its products, Peeled promotes a raw vegan diet because it has a smaller environmental impact than diets using animal products. Pegues said the concept of the business arose from being a vegetarian in college, where he didn’t have many food options to choose from on campus.